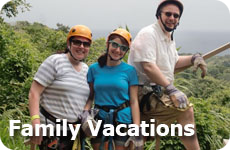 Orlando Florida Vacations - With or without the kids! 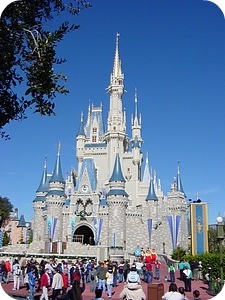 Orlando Florida vacations are great family vacation ideas, and in my opinion, every kid should see Disney while they are a kid. Not to sound too clichéd, but it really is a magical place. But don't discount it for a romantic vacation either. Located in Central Florida, is where you will find the excitement of the amusement parks, as most of them are located here. Walt Disney World is the King of the parks here, but don't discount the others. Depending on how much time you have in Florida will decide how many parks you will want to visit. Disney alone has 4 parks, plus 3 water parks, plus Downtown Disney, plus Paradise Island, not to mention all the hotels and resorts on property! Make sure you buy your tickets to Disney before you get to the parks to avoid the long line ups. We recommend getting a multi day pass. A five day Magic Your Way Ticket allows you unlimited access to all 4 Walt Disney Parks with the Park Hopper option. For a GREAT book on getting the most out of your Disney trip try The Unofficial Guide Walt Disney World (Unofficial Guides) . Check out Dad's Guide to WDW for more about Disney! He even has a free eBook about Disney World. 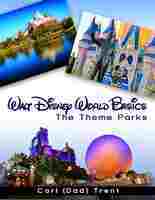 "Walt Disney World Basics - The Theme Parks" takes you on a short tour of the worlds most innovative and family friendly theme parks ever designed. Then there is the Universal Studios and Islands of Adventure, plus their Universal Walk - many restaurants, shops and a movie theatre. And if you are there at Halloween, don't miss Universal's Halloween Horror Nights. It's a scary good time! Then don't forget Seaworld and Discovery Cove. If you like marine parks, these aren't to be missed during your vacation. and you can even do indoor sky diving! With more days of sun then not, the weather usually makes for an ideal vacation, just make sure you check before you book your trip to make sure the climate is as you like it. You can fly directly into the Orlando International Airport for your vacation in Florida. While visiting central Florida is great, I would recommend that you divide your time between Orlando and one of the beaches areas. This way you get a taste of Florida other than just the entertainment capital. There is so much more to this state then just the entertainment options in Orlando. Do you have any favorite Orlando Restaurants - please share them here. 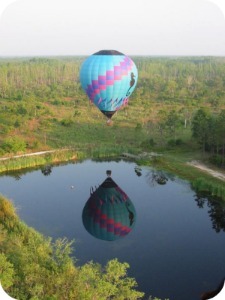 Find and book Orlando tours and activities on Viator.com. Book ahead to save time and money! Contrary to what some believe, this city can be a very romantic destination. A very good friend of ours stayed here and went to Disney World for their honeymoon! Warren and I once enjoyed a lovely romantic getaway Orlando. We went to Epcot for their Food and Wine Festival. We enjoyed wine and exotic foods, and then of course the evening fireworks. Orlando really can be a great romantic weekend away. 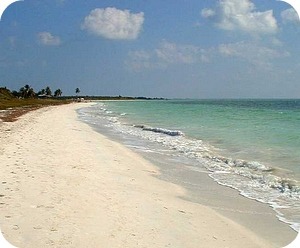 Make sure you also look at other parts of Florida when you are looking for a romantic getaway. In Cape Coral you could rent a boat for the day, or golf on one of the many courses, in St Petersburg, you could spend the afternoon with one of the greatest artists in the world in the Dali Museum, or go for a walk along the boardwalk at John's Pass at sunset and then enjoy a great seafood dinner together. 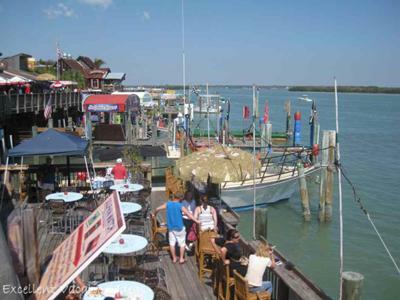 Visit this quaint boardwalk, restaurants and shops in Madeira Beach. You will enjoy great fresh seafood while enjoying the century old fishing village that retain's it's old world charm.